In addition to our criminal defense practice, we also offer representation to students at Indiana University during university disciplinary proceedings. 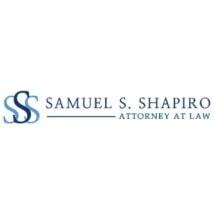 Both of our attorneys worked as prosecutors prior to going into private practice. This experience ensures they both understand the methods prosecuting attorneys use in hopes of obtaining convictions, and they both use that experience to the benefit of our law firm's current clients. Whether your legal need stems from a recent arrest or a university-related issue, you can put your trust in the legal team at our law firm, Shapiro & Lozano. If you would like to meet with one of our attorneys to discuss your charge and learn about our creative approach to criminal law, we invite you to take advantage of our offer for a free initial consultation at our law office in Bloomington, which is conveniently located just east of downtown Bloomington.